The British parliament voted in favour of the government's proposed immigration bill, late on January 28. The Immigration and Social Security Co-ordination (EU Withdrawal) Bill is aimed at adapting the UK's current immigration policy to ensure it has an independent immigration policy after Brexit. 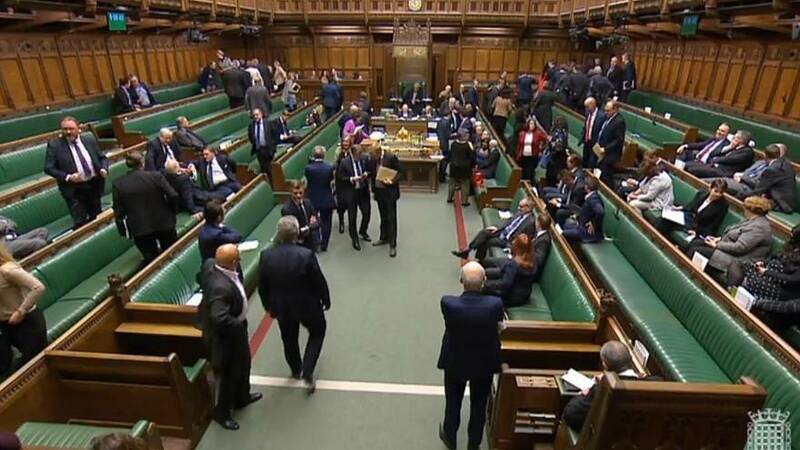 MPs were divided at the first reading but the bill passed with 297 votes in favour to 234 against at second reading. UK Immigration Minister Caroline Nokes said in the Commons that immigration has made a "great contribution" to the British economy and society and added that the government would be speaking to a "range of businesses" on new immigration rules over the next year. "We will continue to listen to businesses large and small", she said. Earlier on January 28, the UK Home Office said in a statement it will seek to end free movement as soon as possible if Britain leaves the EU with no deal. For a transitional period, EU citizens and their family (including Swiss citizens) will be able to come to the UK for visits, work or study and will be able to enter the UK as they do now, the statement said. But to stay for longer than three months they will need to apply for European Temporary Leave To Remain. For stays longer than three years, EU citizens will have to apply under the new skills-based future immigration system, which will begin from 2021, the statement added.